These "gentle giants" go on the roam for a mate as fall draws close. These "gentle giants" go on the roam for a mate as fall draws close. How to see them in person? 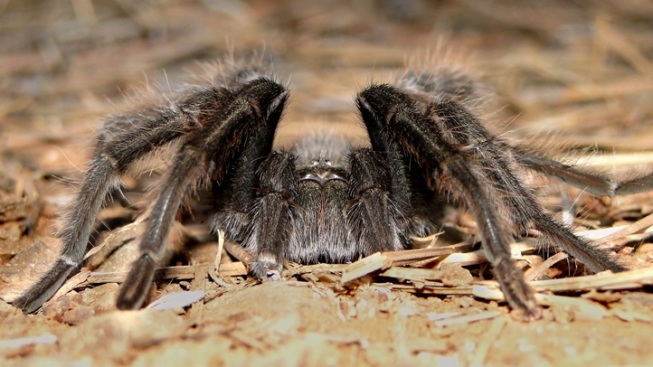 Join a tarantula-themed walk, of course. WHEN AUTUMN IS ON APPROACH, we humans can find ourselves in quite the swirly state. We've got book bags and pencils and lunchboxes to buy, if we have a student in our home. We've got to wrap up the last of the summer socializing, if we'd hoped to see a film outdoors or call upon a water park. And if we're super into Halloween? Yeah, we're probably already working on our costume by Labor Day Weekend. But the multi-legged, fantastically hairy arachnids that call gorgeous Mount Diablo home aren't browsing the lunchbox aisle, nor are they trying get one more spin down the water park slide in, before the weather turns chilly. Rather, tarantulas might be found looking for a mate as August melds into September. TARANTULA OUTING: There are a few to choose from on the Mount Diablo Interpretative Association site, from Tarantula Tales and Trails to The Gentle Giants of Mt. Diablo to a Tarantula Trek for Adults. Wearing sturdy hiking shoes, showing with water, and other important tips are also up on the site, so read all before turning in the direction of this glorious land o' tarantulas. (And, yep, check exactly where you should meet.) Date one for Aug. 11, the final date listed is Oct. 14, and there are September adventures to choose from, too.